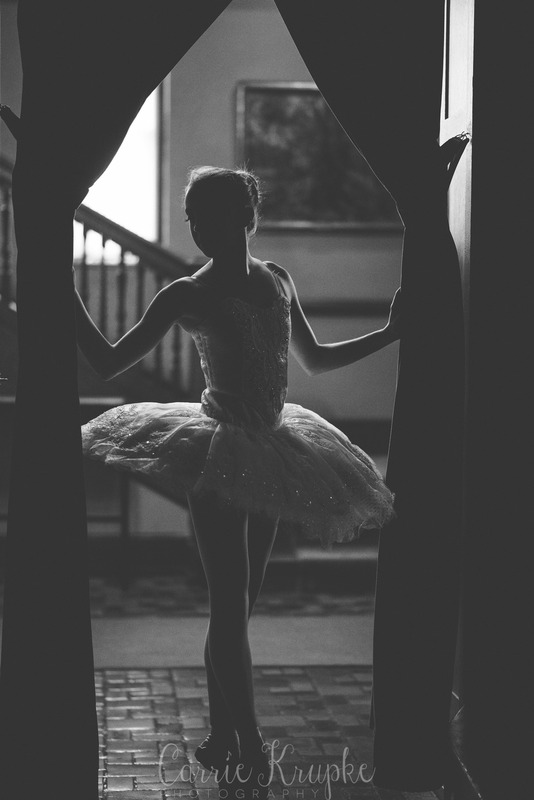 Emalyn piroutted her way through our band room in 6th grade and chose to pursue and leap headlong into ballet. My heart was sad to see her go, but comforted that she was still in the Arts and it seems to be a fantastic fit for her! 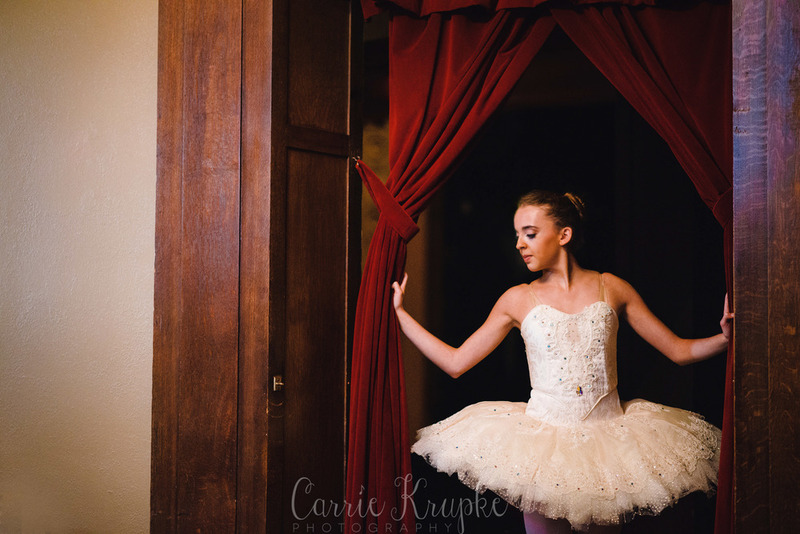 She has performed with Ballet Des Moines and their production of The Nutcracker in just about every character in the plot and this year, has been selected to be a trainee for them this upcoming season! It only seemed natural that we start her session in a spot that she has spent so much time in during those performances: Hoyt Sherman . 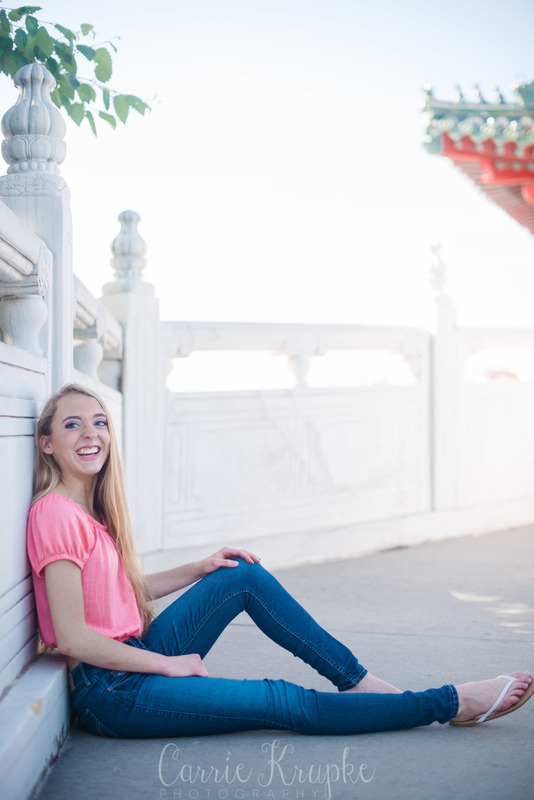 While Emalyn got "suited up", I got my bearings and had so much fun photographing the architecture. 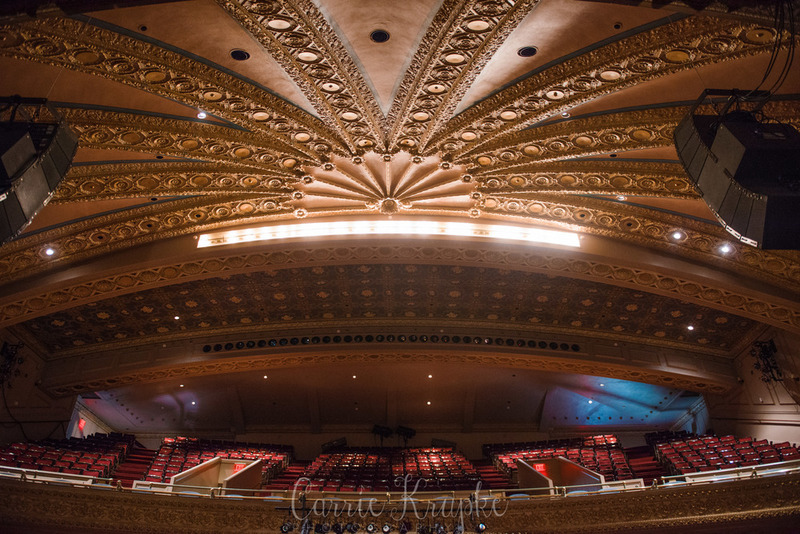 Oh, to perform in a venue like this! Emalyn showed me around the backstage area and we found a changing room with fantastic natural light pouring in from windows up above. 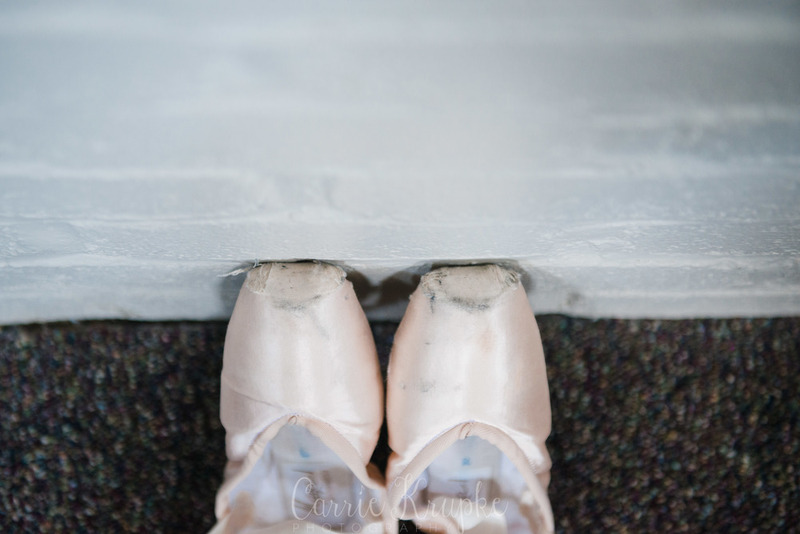 I knew our time in this particular outfit was coming to an end, so I had her go through the motions of taking her shoes off and highlighting those dear pieces of gear that help her perform at her best. 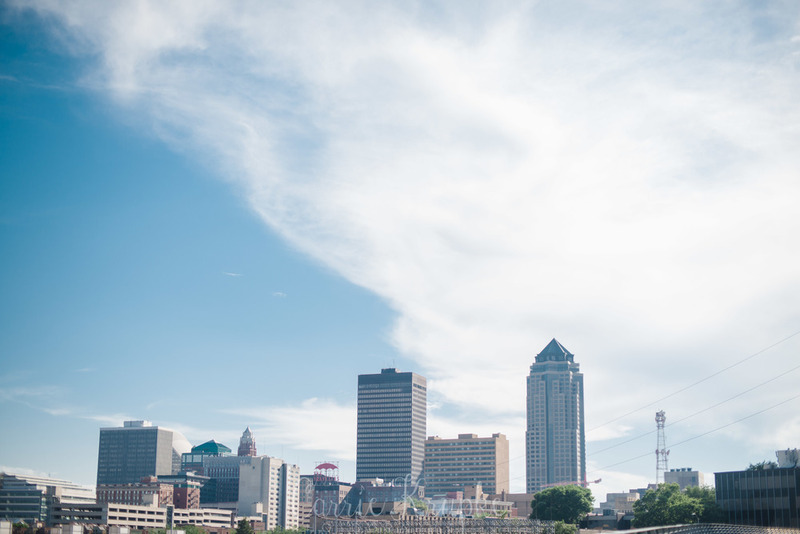 Moving from her pointe shoes and ballet attire, we headed over to a spot that has a great view of the Des Moines landscape.